You may use Snapchat for a variety of purposes, from watching epic love stories unfold, to discovering how you’d look as a dog, but you may soon be welcoming a new demographic to image and video sharing app: Your parents. According to comScore, more and more parents are on Snapchat these days, as the social media app begins to move away from its mostly teenaged audience to a broader set of users. Depending on your relationship with your parents — and the content you tend to post in your snap stories — the emergence of an older groups of Snapchat users will either be really fun, or unimaginably, soul-crushingly awkward. Research from comScore, a measurement and analytics company, suggests that times are a-changin’ in SnapLand. As is true of many new apps, when Snapchat first hit the scene, its users were heavily dominated by people under the age of 24. In 2013, about a quarter of smartphone users between the ages of 18 to 24 were on Snapchat. Only 5 percent of users between the ages of 25 and 34 were had the app, and only 2 percent over the age of 35 could say the same. In the last few years, however, the popularity of Snapchat has skyrocketed. Now 69 percent of 18 to 24-year-old smartphone users are on the app. And although teens and young adults still make up the bulk of Snapchat users, the older demographics are catching up. Now, 38 percent of 24 to 34-year-old smartphone users snap, as do 14 percent of those over 35. 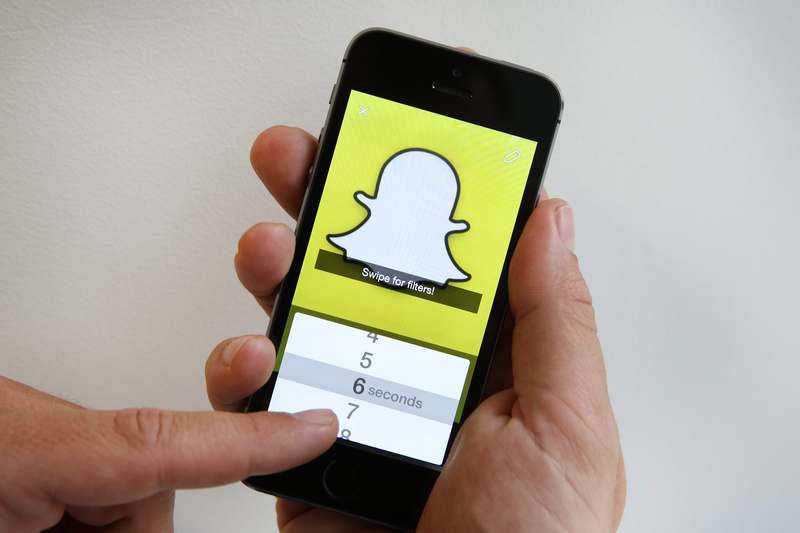 Although the arrival of parents and other older adults to Snapchat could reduce the app’s “cool factor” for teenagers, Amanda Lenhart, a researcher at the Data and Society Research Institute in New York, told The Wall Street Journal that the shift may not have a major effect on teens’ use of the app because “the communication it allows is more closed off.” In contrast to Facebook or Twitter, Snapchat users communicate more privately between themselves, and images and videos disappear after a set period; there may be less risk of your parents stumbling onto messages or images you don’t want them to see than with other social media platforms. Yoree Koh at The Wall Street Journal points out that Snapchat’s ability (or inability) to broaden its user base, while still holding on to its young users, may be key to Snapchat’s potential success in the long term. Despite its growing numbers of older users, Snapchat’s demographics are still much more asymmetrical that those of other major social media platforms. Facebook, for example, has a strong grip on the market across age groups, with between 72 and 79 percent of smartphone users in all three age demographics using the platform. In contrast, there are nearly five times as many smartphone users between the ages of 18 and 24 on Snapchat than users over 35. How the shifting user demographics of Snapchat will affect the app still waits to be seen. Until then, why not just enjoy face swapping with your parents?